The internet and broadband has been on Pitcairn for some years now. What would anyone do today without emails? Linked to this is the telephone which landline works the same as elsewhere. I can call Pitcairn from Auckland, New Zealand for free and all other calls cost the same as if you are calling Auckland from anywhere in New Zealand or rest of the world. So calling Pitcairn is cheap. Skype is free except it requires broadband and on Pitcairn broadband is not free and neither is it cheap. There is only one broadband plan. The more you use the more it costs. If you use only 1gb of data per month it costs $NZ40.00 for 2gb of data its $NZ102.00. Over 2gb of data it costs $NZ0.20 for every megabyte thereafter. Except when you use 3gb of data your internet connection is suspended between the hours of 9.00 am to 7.00 pm each day until the next months rollover. Given that our power is only on from 7 am to 10.00 pm it only gives you 1 hour per day usage when you reach 3gb of data. We have learnt to budget our usage each month which is why sometimes the pictures in Dem Tull appear blurry because we reduce the size of the pictures when emailing between Kari and Julie and Dem Tull does eat up Karis bytes. The problem with usage happens when we have homestay tourists. New Zealanders complain about the cost of their broadband but in comparison NZ is cheap. For less than the cost of Pitcairns 3gb of data my broadband plan is 120gb which includes home phone rental. If we exceed our limit we are not suspended but the connection speed slows down to dial up speed which is so slow you might as well be suspended. But our dialup speed is almost the broadband speed on Pitcairn. At least Pitcairn has broadband. For 500gb (fair use policy applies) my NZ provider charges $NZ120.00 (including home phone rental if I chose that option – we don’t use 120gb). So one would imagine our tourists would be used to those kinds of usage and it would not take long to burn up 3gb which mean that when they sail away after a few days on Pitcairn it leaves the homeowner with suspended internet for the remaining month. The alternative is not to make broadband available to tourists. But they like to check their emails too. This problem was especially highlighted while I was on Pitcairn because a yacht was there for 10 days followed by the many official visitors who arrived on the Claymore II who was there for nine days. Leslie Reid and Mary Thompson from DfiD who were two of the official visitors picked up on the problem of the suspended internet. We are vigorously promoting tourism and DfiD hope tourism is one way of helping get Pitcairn off budgetary aid. There needs to be a solution, DfiD acknowledges this. Leslie wrote it down in her notebook. So keep on her case. Don’t let her forget or brush the problem off as too hard. No we haven’t got our dates wrong. It isn’t 23 January the date we celebrate the burning of the bounty. Stuart McPherson a television presenter is making a documentary on flora and fauna on all the British Territories. Except for Pitcairn he is adding a little more to the story and wanted a re-enactment so we obliged him. As usual the children filled the mock Bounty with passionfruit so that when it is burning the passionfruit would burst with loud bangs. Most of the community turned out for the event even though it was fake. Stuart provided juice, soft drink and nibbles to eat. And, no Roger with the childs lifejacket did not need rescuing on dry land. Links between the Isle of Man and Norfolk Island continue to be strengthened after the President of Tynwald Clare Christian was a guest of the Norfolk Island Legislative Assembly as the territory celebrated its Anniversary Day on June 8th. Every June 8th the self-governing territory of Australia celebrates Bounty Day (also known as Anniversary Day) in memory of the arrival in 1856 of the Pitcairn Islanders, descendants of the Bounty mutineers led by Fletcher Christian. Central to the proceedings is the re-enactment of the landing of the 194 men, women and children at the capital’s Kingston Pier. Participants dress in period costume, a custom also observed by Mrs Christian thanks to her hosts for the celebrations, the Assembly’s Speaker David Buffett and Minister for Cultural Heritage Robin Adams. The occasion also provided the opportunity for Mrs Christian to lay a wreath on behalf of the people of the Isle of Man on the cenotaph, where she was joined by Mr Buffett and Leona Young Hermens representing Pitcairn Island, before proceeding to the cemetery where wreaths were placed on ancestors’ graves by descendants of the Pitcairn Islanders. Photo - President of Tynwald Clare Christian with the Norfolk Island’s Legislative Assembly Minister for Cultural Heritage Hon Robin Adams and Speaker David Buffett at the Bounty Day celebrations in Kingston. CORONATION OF THE NEW QUEEN & HAS NORFOLK LOST IT’S BLING? It’s true visiting Red Hatters after shopping up a storm may have just about bought out all things bling last week! Red Hatter visitors never fail to bring an air of fun to the annual Red Hatter gathering on Norfolk Island. Queenalee Rosalie, her Bounty Babes and The Travel Centre welcomed Red Hatters from various Australian and New Zealand chapters. Flashes of red and purple were seen all around the island, at the Sunday Markets for some retail therapy, before an exclusive half day island tour with Pinetree Tours. A mere warm up and introduction to Norfolk Island before the official Red Hatter welcome dinner at Paradise Hotel where visitors and local Red Hatters enjoyed a delicious meal and an AWESOME show by pop-icon and ladies’ man “Tom Jones!” aka Brandt McRitchie. Red hatters aptly showed their appreciation with lacy red knickers flying across the room! Another highlight was the customised ‘History Hunt’ organised by local Historian Arthur Evans, the ladies had a fabulous time, finding clues in the historic KAHVA area at the same time learning about Norfolk history. The group were split into teams and it was all systems go to find all the clues and finish the history hunt first. Afterwards, it was back to Paradise for a lovely luncheon, were Arthur continued to unravel Norfolk’s history. Special thanks to Arthur for his creativity in designing this unique activity. Mid-week and it was time for the coronation of Queenalee Rosalie who arrived in her chauffeured London taxi (thanks so much Phil Jones!). After a couple of regal circuits of the A Walk in the Wild car park Queenalee Rosalie arrived with British music and cheer echoing down Grassy Road hill. We thank Rowena (Court Jester) and visiting Queen Barbarosa for their excellent effort in leading the special coronation and crowning. As the newly appointed Queen sat in her throne, the group enjoyed a scrumptious afternoon tea and sparkling wine to toast the Queen with thanks to Agnes Hain and The Bounty Centre. On Wednesday a special function was held for the vibrant group with exclusive access to the exquisite Cyclorama followed by champagne and canapés at the Hilli Lounge. The end of the week and the Night as a Convict finale topped off an exceptional week. The group donned on their convict suits (with red hatter style thown in) and enjoyed a night of laughter and games. Libby O’Donovan is a “powerful and sassy performer” (SMH), renowned for her nuanced interpretations and extraordinary voice. She is a critically acclaimed Jazz and Cabaret performer and an award-winning Musical Director. This summer you’ll find Libby performing beachside at no other, than idyllic Norfolk Island. Libby will appear as a special guest performer joining the festival line-up Evelyn Duprai, Sussurro, Dr Don’s Double Dose, Norfolk Island’s own Rick Robertson, and Down South Jazz Quartet. Contact The Travel Centre Norfolk Island for more information regarding her specially escorted tour 7 night packages start from $1919 per person twin share ex Brisbane and $1959 per person twin share ex Sydney. Prices include return airfare (seat + bag) to Norfolk Island, airline taxes, meet &amp; greet at the airport, 7 night’s twin share hotel style accommodation, return airport transfers on Norfolk Island, 7 days car hire (hire car surcharge $20 per day plus petrol extra), Devonshire tea on arrival, Daily continental breakfasts, Welcome dinner with Libby O’Donovan, Half day island orientation tour with Libby O’Donovan, Farewell dinner with Libby O’Donovan, Jazz festival pack including entry to 5 concerts (2 including dinner and 2 including lunch), souvenir program, Norfolk Island Jazzes it Up polo shirt, cap and gift bag, Free wireless internet in Paradise Hotel lobby, Islander fruit cocktail on arrival, Sunset cocktails &amp; canapés on Monday at Paradise Hotel, All day tea &amp; coffee station at Paradise Hotel, Free daily shuttle to &amp; from Burntpine shopping precinct, discount shopping card, complimentary mini-golf and complimentary ‘A Walk in the Wild’. Competitive add-on fares from Melbourne, Adelaide and Perth available. DESCENDANTS of the famous Bounty mutineer Fletcher Christian have arrived in Sydney as part of a unique partnership with the small Brighton Seagulls Junior League Club. For some boys, it is their first trip away from Norfolk Island, 1400 kilometres due east of Evans Head in the northern rivers. Just 2000 residents live on the 35-square kilometer island, so the boys have to join up in composite 13-16 year teams. The ‘‘sister’’ relationship established with Brighton Seagulls is certainly keeping the game alive and well on the island where the fragile economy relies on tourism. Brighton club president Bruce Hartley said though the boys receive coaching through the occasional visit from NRL representatives, Brighton was the only club interested seven years ago when the island club put out feelers to the Australian mainland junior league clubs. Under the arrangement, the island team gets a chance to travel to Sydney every two years, and play against a mainly 15-years-and-under Brighton side. Brighton then travels to the island every alternate year to play games there. The island boys, of course, have quite a history which has been dramatised over the decades in various films about the famous Bounty mutiny. Lieutenant Fletcher Christian led the mutiny on HMS Bounty, a Royal Navy vessel, in 1789. He ejected Captain Bligh from the ship, and those loyal to him, before setting up a new home on Pitcairn Island in the South Pacific. In 1856 the by now overcrowded population on Pitcairn was moved by the British to the larger Norfolk Island, after first receiving a less than friendly welcome in an attempted earlier settlement in Tahiti. Norfolk Island had been colonised by Great Britain as part of its settlement of Australia in 1788 and the island served as a convict penal settlement until May 1855, except for an 11-year hiatus between 1814 and 1825, when it was abandoned. In 1901, the island became a part of the Commonwealth of Australia. It is now an external self-governing territory. About half of the islanders can trace their roots back to Pitcairn Island. And Thursday and Charles Christian — the daughter and son of Fletcher Christian — are the ancestors of almost everybody with the surname Christian on Pitcairn and Norfolk Islands, as well as the many descendants who have moved to Australia, New Zealand and the US. ‘‘Some of the younger boys who’ve never been off the island are quite shy with their billeted families in our district,’’ said Bruce Hartley. Despite the big wet saturating our grounds, a few games have been organised, along with trips to the city and Bondi. ‘‘I got to touch the Opera House,’’ said one excited youngster, when the boys were asked what their highlight was so far. The boys will see the Dragons play the Roosters game at Kogarah on Saturday. As his HiLux ute bumped over hilly farmland outside Armidale, David Lamb kept a hand on the wheel and grabbed an iPad in the other to locate his herd of 50 ''smart'' cows. Each cow is fitted with a tag in its ear that transmits its location to a digital map of the property. Pausing briefly to look at the screen, Lamb could see where each cow - represented by a number and an icon - was located on the 2800 hectare farm. This internet of cows has captured the imagination of farmers and others, said Professor Lamb, professor of physics and precision agriculture at the University of New England, which runs the Kirby SMART [sustainable, manageable and accessible rural technologies] Farm. Also being developed is the capacity to fingerprint a herd's movements, which could alert the farmer to feed levels or pasture preferences. A bit later, Professor Lamb pointed to some of the 100 soil sensors that every five minutes transmit information about moisture, air and ground temperature to his iPad and to the farmhouse computer. With programs such as Pastures in Space, which transmits satellite images showing the biomass of a field, farmers are cutting costs, improving yields and maximising each paddock. Next week the university's smart farm, one of the first connected to the national broadband network, will be on show at the first Digital Rural Futures Conference. A Tasmanian vineyard attached sensors to vines to detect botrytis bacteria, the mould that makes delicious dessert wines but can ruin other grapes. A wheat grower in Gilgandra cut his fertiliser bill by a third when he used a plant canopy sensor to apply fertiliser when and where it would make the most difference. A cotton farmer doubled his yield per litre of water by using probes to apply water only where needed. In a white paper to be released at the conference, CSIRO says broadband and sensor networks viable because of the NBN will ''transform'' farming and farmers' relationships with retailers, service providers and food processors. The NBN will create broadband hotspots on all farms, sensor technology would create an internet of property information (and cows), and faster video conferencing would make it easier for service providers such as vets to provide remote services at affordable rates. Many farmers have been slow to adopt technologies and connect. But Colin Griffith, the director of CSIRO's Australian Centre for Broadband Innovation, forecasts the NBN will mean the widespread adoption of these tools within two to three years. 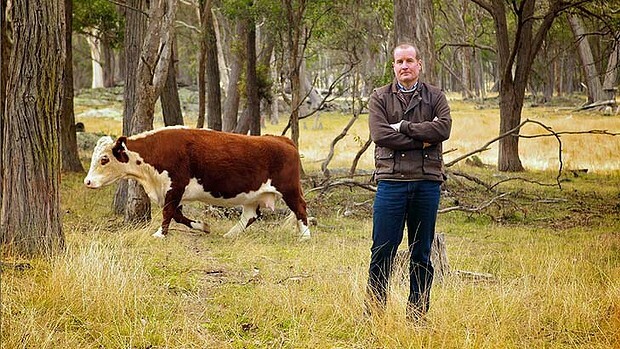 For farmer Lindsay Doyle, the reliability of a new fixed-wire and broadband network connected last September ''saved his business'' and allowed him to stay on the family farm 32 kilometres outside Tamworth. Before the NBN the connection was ''hopeless'', making him consider moving his quantity surveying business into town. ''I think there are many opportunities for family members to run businesses out of their homes so they don't have to move off the farm,'' said Mr Doyle. Results. Convicted. Fined $750.00, 3 months to pay. Disqualified from driving for 3 months. No special licence application until July 2013 sittings. Results: Convicted. Fined $1,000.00, 6 months to pay. Disqualified from driving for 6 months. Results: Convicted. Fined $500. 6 months to pay. Results: Convicted. Sentenced to 6 months imprisonment, suspended forthwith for 2 years. Fine $3000.00 to pay within 14 days. Disqualified from driving for 2 years. No application for special licence for 2 yrs. With the significant egress in the Island’s usually resident workforce and the attendant skill-base loss it is with pleasure that we congratulate local lawyer Piria Coleman on successfully passing the NSW Bar Association’s examinations and onher subsequent admittance to the bar. Piria was awarded her Bachelor of Laws at Sydney University and has spent a number of years working on and off Island. Throughout this time Piria’s long-term aim, which has always been to return to Norfolk Island and settle on a more permanent basis, has finally come to fruition. For those who don’t know, Piria comes from a longstanding Island family and Norfolk Island has always been her first home. She is the great-grand-daughter of Delia Adams, and many Islanders may have known her school teacher grandmother Eliza Clarkson nee Everett. Given that Norfolk Island has been her family base for many generations Piria also has the added benefit of a wide and intimate understanding of the Island and how it functions on many levels, as well as its inter-relationships, and the unique challenges which have faced the Island in the past, along with those challenges it is currently facing. Piria is well versed in Island legislation and case law as well as Commonwealth law. She is familiar not only with law as it pertains to the Island, but also its politics and its public administration; as well as the commercial environment, and the intricacies of the Island’s unique multi-faceted cultural landscape. There is without doubt considerable logistical and financial benefit in having direct and personal access to legal counsel on-Island, particularly given Piria’s aims to offer a progressive and innovative approach to the provision of legal services. As both a practising barrister and solicitor, Piria is now able to offer a wider range of legal services. She is able to act on behalf of clients in matters of mediation, debt recovery, employment law, personal injury, property law, commercial and business law, intellectual property, estate planning, wills, probates, powers of attorney, and other general law practice matters. She is also able to represent clients in matters of civil litigation and criminal law to be brought before the Court of Petty Sessions and matters before tribunals. She is able to advise and act in family law and Family Court matters including divorce, separation, and children’s issues; and in Norfolk Island Supreme Court matters to be heard on Island, and also in High Court matters off-island should the need arise. If you would like to learn more about the kind of legal services Piria is offering or if you require further explanation just go to her simple, friendly, and easy to use website www.norfolkislandlawyer.com.au. Piria’s recent admittance to the bar has certainly raised the ‘professional bar’ here on the Island, and perhaps more than anything else she is a fantastic role model who has set a high standard to which future generations of Island children may also one day aspire to with equal amounts of application, perseverance, and dedication. Australia’s largest cruise operator Carnival Australia has welcomed Federal Government funding support for Norfolk Island, which it says will open the way for a significant increase in cruise ship visits to the island. Carnival Australia CEO Ann Sherry said the new Regional Development Fund allocation would allow Norfolk Island to make much-needed improvements to its cruise infrastructure to improve the reliability of passenger transfers. “Our ships have missed more than 70 per cent of scheduled calls to Norfolk Island in recent years due to the combined effect of prevailing weather and the operating limitations of normal cruise ship tenders,” Ms Sherry said. Ms Sherry said Carnival Australia had last year funded the design of purpose-built tender boats that could be operated by certified Norfolk Island locals to ensure the transfer of passengers from its ships to the island in the swell conditions often experienced in local waters. Ms Sherry said P&O Cruises, which is operated by Carnival Australia, had longstanding connections to Norfolk Island which featured on the cruise line’s first itinerary from Australia in 1932. She said visits to the island by P&O Cruises in recent years had been very popular, with passengers enjoying the island’s wonderful blend of history, culture and natural beauty. “With the knowledge that the new infrastructure is on the way we’ll be looking at increasing P&O Cruises’ visits to Norfolk Island again once the works are complete. Historian Cathy Dunn, who published Norfolk Island Deaths: 1st Settlement 1788 – 1814, is continuing her early Norfolk Island research with historian Liz McCoy. Their current project is the Rev. Henry Fulton’s Baptism, Burial and Marriage records of 1801 – 1806, slated for publication in March 2014. The project includes more than 150 baptisms, many for babies born between 1796 and 1800, a period in Norfolk Island’s history from which few records survive. The historians are researching further details to fill in the picture of Fulton’s Register – including the details of the next generation of families whose antecedents are listed in the Register, as well as cross-references to names mentioned in other primary records, such as victualling books, population returns, land grants and shipping records. This follows on from Cathy’s earlier research on deaths in Norfolk Island. There were more than 260 deaths during the first settlement of Norfolk Island. In researching her book Norfolk Island Deaths, Cathy painstakingly checked all primary records for Norfolk Island references to deaths, including journals and diaries, letters, musters, church records, victualling books, population returns and much more. The book contains a burial list giving the full details of each person and their family, their status (convict or free) and date of arrival to NSW and Norfolk Island. Photographs of headstones accompany many of the entries. The new compilation of the Fulton Register has identified many anomalies in the records – such as Marg Buchannon, whose death on 29 May 1805 was recorded in the Rev. Fulton’s Burial List, while the 1805 Muster listed her under the name of Marg Clarke. Cathy is giving away 5 copies of Norfolk Island Deaths: 1st Settlement 1788 – 1814 to readers of Inside History. Simply comment on this blog post and tell us when the HMS Sirius was sunk off Norfolk Island. Norfolk has a unique beauty of its own, with its renowned tall majestic pines, sheer cliff faces, coral reefs and beautiful beaches. Almost one third of the island is devoted to National Parks and Reserves. But Norfolk Islandis far more than a picturesque island in the South Pacific; it is paradise with a past. What was once a convict’s nightmare is now the tranquil home of the descendants from the Mutiny on the Bounty, who have their own unique culture and their own language. As of Friday June 9th incoming travellers, eighteen years and over, will be able to collect pre-paid tobacco products in the Arrivals hall in the Norfolk Island Airport. This move has allowed the ‘Low Duty’ Cigarettes to re-open business. Inbound travellers, eighteen years and over, will no longer have to purchase duty free products in Australia or New Zealand they can now organise to collect duty free tobacco products through the ‘Low Duty’ Cigarettes outlet at considerably cheaper than Australian and New Zealand duty free prices. Local can organise to collect their ‘Low Duty’ tobacco products on their return to Norfolk before departing. U3A is a world-wide movement which began in France in 1968, rapidly spreading around the world, arriving in Australia in 1984. U3A offers older people low cost or no cost educational opportunities in a friendly, supportive, social environment. There are no academic entry requirements, no formal qualifications or degrees are granted; the model relies entirely on using the skills and abilities of the members themselves, so those who are learners will become teachers, and those who are teachers will become learners, in other words, a “community of scholars” coming together to learn from each other. U3A’s are basically self-help and mutual support groups that recognise the significant health benefits of lifetime learning, to keep the brain active and stimulated. Research has shown that as we get older, it is most important that we maintain our physical and mental health by participating in productive and motivating activities, in the company of other people. There are 240 U3A’s in Australia with 75,000 members, the fastest growing adult education movement in Australia.U3A keeps your mind alive! Most U3A’s offer a programme of weekly classes usually conducted in daylight hours, arranged on a school term or semester basis. A wide range of subjects is offered, depending on the interests of members and the availability of group leaders/tutors. Typically courses may range from Computer skills/Internet sessions, Creative Writing, Current Affairs, History and Literature, Philosophy, Psychology, Music Appreciation, Law, Languages - these are just a few of them. What is on offer depends entirely on the skills and knowledge that exists in any given community, and people’s willingness to teach and learn from each other. Most sessions last between 1 and 2 hours with a break in the middle and often finish with question and answer time. There is usually a gold coin donation made to cover the cost of tea, coffee, biscuits at each session, and tutors/course leaders may be reimbursed for some out of pocket expenses, like photocopying, etc. Some U3A’s arrange excursions and trips to places of interest and share resources, like DVD’s, with each other and visitors from other U3A’s are warmly welcomed to attend a course or session where ever they are. Visiting speakers, including non U3A members, are especially welcome, as they are often able to offer something “special” to the programme. Each U3A is an autonomous, not for profit Incorporated Association, whose members are mainly retired or semi-retired, although, there is no hard or fast rule about membership. Anyone can join U3A, and people who are unemployed or have a disability are encouraged to join to share in the social and educational benefits on offer. Each group is run by a Management Committee, elected from the membership base, and all the administrative and office duties are performed by members on a voluntary basis. Generally the membership fee is around $30 per year, which covers the operational cost of the U3A.Other organisations, like community centres, area health services, local Councils and schools support U3A by providing meeting space and resources like whiteboards, OHP’s and other equipment free of charge, as well as helping to promote U3A in Newsletters, pamphlets, and other promotional material. Most U3A’s belong to a network of other U3A’s, which support each other, sharing resources, contributing to Newsletters, providing advice and information on legal issues, etc. In a scathingly critical report of Australian safety investigators and regulators, the Australian Senate last week found that an investigation into the 2009 ditching of a medical evacuation flight off Norfolk Island was so incompetently handled that it could be referred to authorities for criminal prosecution. The Senate investigation, which began last September, found that during the crash investigation, Australia's Civil Aviation Safety Authority failed to provide the Australian Transport Safety Board with critical documents and findings concerning the Pel-Air ditching. That information would have revealed, according to the Senate probe, that CASA knew of ongoing systemic shortcomings in Pel-Air's operation that directly contributed to the accident. CASA's action, says the Senate report, may have violated Australia's Transport Safety Investigations Act. "It could be seen as a breach of the Transport Safety Act in terms of obstructing an investigation," said Sen. David Fawcett. The accident occurred in November 2009 when the twin-engine Westwind ditched off Norfolk Island en route from Samoa with a critical but stable patient. The Westwind's ultimate destination was Melbourne, with a scheduled fuel stop in Norfolk Island. The flight's captain, Dominic James, departed with legally sufficient fuel into a forecast of good VFR. En route, the Norfolk Island weather tanked and after three unsuccessful approach attempts, James ditched the Westwind near the island. All six aboard survived, albeit some with injuries. The ATSB's accident investigation, which took some 1000 days to complete, faulted the crew for not planning the flight in accordance with Australian regulation and Pel-Air operations specifications. It blamed James for not aggressively seeking updated weather reports and for failing to divert to Noumea, New Caledonia, which the Westwind initially had fuel to do. Following the ATSB's findings, James challenged some of the investigator's findings but his queries were dismissed by the ATSB. The Australian Senate took up James' case last year and its probe revealed widespread flaws in the ATSB's investigatory work. Among numerous findings by the Senate was a report on a CASA review of Pel-Air that "unequivocally concluded … that the Pel-Air Westwind operation was at an elevated risk and warranted more frequent and intensive surveillance and intervention strategies." Yet no mention of this report appeared in the ATSB's findings blaming the pilot. "In other words, Pel-Air was lacking, CASA's oversight of Pel-Air was lacking, and the accident occurred in an environment of serious aviation safety deficiencies," the Senate report said. Although the Senate investigation stops short of saying the ATSB and CASA colluded to suppress information, it does conclude that the two agencies narrowed the accident investigation focus in a way that excluded larger safety issues. "This inquiry has shaken my confidence in the CASA and the ATSB to the core. I no longer have confidence in them. That's why I think we need an inspector general of aviation," Sen. Nick Xenophone told Australia's ABC News. "This goes beyond Dominic James, which I regard and many regard as a scapegoat for the failings of CASA and the ATSB," he added. The Senate report makes numerous recommendations to improve the ATSB investigation process, ranging from additional training for investigators, to requiring the ATSB's chief commissioner to have extensive aviation safety experience, to establishing an oversight board for investigations. In one of its sub-conclusion, the Senate pulled no punches in criticizing CASA. "CASA's internal reports indicate that the deficiencies identified would have had an effect on the outcome of the accident in several areas. It is inexplicable therefore that CASA should so strongly and publicly reject witnesses' evidence that they did not think surveillance was adequate, when CASA's own internal investigations indicate that CASA's oversight was inadequate," the report said. to Andre, Mick and Paul for sound and lighting. Of course, to our Sponsors offshore and locally, you’re fantastic! From among you all sponsorship of over $45,000 was gifted. Thank you all so much. To the Silver, Bronze and Pearl Sponsors – Thank you! An event such as the Country Music Festival doesn’t happen without support and it certainly doesn’t happen for twenty successful years. We look forward to your support again in 2014. To all the artists, musicians and performers, to our visitors, thank you. The locals who supported the event, I hope you had FUN! En to myse beautiful wife Gaye, Thaenks fe me Babe. In light of recent discussion in NI about what role the United Nations might play in establishing a new relationship between Norfolk Island and Australia, one of our readers of Norfolk Online thought you might be interested in the attached article from today's Inside Story about a relevant decision of the United Nations this week concerning French Polynesia.Inside Story is a news and commentary website jointly sponsored by Swinburne University and Australian National University. IN A SENSE, Oscar Manutahi Temaru lost the battle but won the war. Not long before he ended his term as president of French Polynesia this month, he achieved his long-held goal of increasing international support for the Maohi people’s right to self-determination. Temaru has been campaigning for independence from France since the 1970s. In an historic decision, the United Nations General Assembly adopted a resolution on 17 May to re-inscribe French Polynesia on the UN list of non-self-governing territories. The resolution, sponsored by Solomon Islands, Nauru and Tuvalu with support from Vanuatu, Samoa and Timor-Leste, was adopted by the 193-member UN General Assembly without a vote. It ends a sixty-five-year period during which French Polynesia has been absent from the list of countries recognised as colonial possessions. The right to self-determination does not necessarily equate to political independence. Under UN decolonisation principles, a referendum of the “concerned population” can consider a range of options, including integration with the colonial power, greater autonomy, free association or full independence and sovereignty. There’s a long way to go before the people of French Polynesia decide on a new political status. Temaru’s opposite number, the incoming president Gaston Flosse, denounced the “tyranny” of the UN decision. A long-time opponent of independence, Flosse claims a popular mandate for his loyalty to France. Since the end of nuclear testing in 1996, France has sought to improve relations with members of the Pacific Islands Forum. But the fierce reaction to the UN resolution suggests that Paris is not planning to relinquish its role as a colonial power in the region any time soon. And the fact that the UN resolution was sponsored by French Polynesia’s island neighbours shows that the debate about colonialism in the region isn’t going to go away. FRANCE first colonised part of Polynesia as the Etablissements français de l’Océanie in the mid nineteenth century. By the end of that century, the five eastern-Pacific archipelagos we now call French Polynesia had fallen under French control. Since then, their status has evolved from protectorate to colony, then from “overseas territory” to “overseas country” to today’s “overseas collectivity” of France, each shift in terminology reflecting changes in colonial policy in Paris. For fifty years after the founding of the United Nations, Paris refused to accept international monitoring of decolonisation in the Pacific, arguing that the Pacific territories enjoyed self-government within the French Republic. The newly created United Nations established a list of non-self-governing territories in 1946, calling on administering powers to promote economic, social and ultimately political development in their colonies. But from 1947, France refused to transmit information on its overseas territories to the General Assembly, as required under Article 73 of the UN Charter. A revised UN list of territories in 1963 ignored France’s Pacific dependencies, apart from the joint Anglo-French condominium of the New Hebrides. After the end of nuclear testing at Moruroa and Fangataufa atolls in 1996, France began to change its policy in the Pacific region. The signing of the 1998 Noumea Accord – an agreement between the French state and supporters and opponents of independence in New Caledonia – acknowledged the need for decolonisation and improved regional relations. President Jacques Chirac began the devolution of more powers to France’s overseas territories in 2003. New Caledonia and French Polynesia both gained observer status at the Pacific Islands Forum (which links Australia, New Zealand and fourteen independent island nations), and upgraded to associate membership in 2006. These changes were too little, too late, for the FLNKS independence coalition in New Caledonia and the pro-independence party Tavini Huiraatira in French Polynesia. These nationalist movements have long sought international support in their quest for a new political status, and the United Nations is seen as a crucial forum. The latest UN resolution means that French Polynesia joins sixteen other territories on the UN list of non-self-governing territories, including five in the Pacific region: New Caledonia (under French administration); Tokelau (New Zealand); Pitcairn (United Kingdom); Guam and American Samoa (both United States). New Caledonia was only re-inscribed on the UN list through a UN General Assembly resolution in December 1986, after campaigning by members of the Pacific Islands Forum. The resolution came at the height of armed conflict during 1984–88 between the French armed forces and supporters and opponents of independence. Australia and New Zealand joined their island neighbours to support New Caledonia’s re-inscription, fearful of the radicalisation of the Kanak independence movement and perceived Soviet advances in the region. In French Polynesia, the independence movement has sought the same sort of international recognition for decades. As leader of the Polynesian Liberation Front, Temaru first lobbied at the United Nations in 1978. He patiently sought support from Pacific governments throughout the 1980s and 1990s, gaining solidarity from the Pacific Conference of Churches and the Nuclear Free and Independent Pacific movement, but little action came from neighbouring Polynesian nations. In contrast, the independence movement in New Caledonia gained extensive support from the Melanesian Spearhead Group, which links the FLNKS and the governments of Vanuatu, Fiji, Solomon Islands and Papua New Guinea. Since re-inscription in 1986, New Caledonia has been scrutinised by the UN Special Committee on Decolonisation every year. The governments of France and New Caledonia even invited the UN committee to hold its regional seminar in Noumea in 2010. Maohi nationalists are angry that the rights extended to New Caledonia under the 1998 Noumea Accord do not extend to other French dependencies in the region. Symbolically, Oscar Temaru was refused entry to the UN’s 2010 decolonisation seminar in New Caledonia’s capital. GASTON FLOSSE first served as president of French Polynesia in 1984–87 and was re-elected in 1991. The long rule of this fierce opponent of independence came to an end in 2004 after Temaru’s Tavini Huiraatira party united with other groups in the Union for Democracy coalition, or UPLD, and defeated him in closely fought elections for the French Polynesian Assembly. For the first time, French Polynesia had a president who supported independence from France. In 2011, the French Polynesian Assembly in the capital, Papeete, narrowly voted for the first time to support Temaru’s call for UN re-inscription. A legal challenge to the Assembly vote failed at the Administrative Tribunal of Papeete in early 2012. The UPLD also looked to Paris as France moved towards presidential elections in May 2012. After years of conservative rule under presidents Jacques Chirac and Nicolas Sarkozy, the Tavini Huiraatira party had aligned itself with the French Socialist Party. Before his 2012 election as president, Francois Hollande signed a cooperation agreement with Tavini in his role as Secretary General of the Socialist Party, formally recognising the right to self-determination for the Maohi people. The UPLD coalition decided to soft-pedal their re-inscription push at the United Nations during 2012 in order to avoid embarrassing Hollande in the midst of the presidential elections. Once elected, however, Hollande began to back away from the principles set out in the inter-party accord. With Australia and France signing a Joint Statement of Strategic Partnership in January 2012, Canberra too has been less than enthusiastic about Temaru’s re-inscription initiative. When I interviewed him last year, Australia’s then parliamentary secretary for Pacific Island affairs, Richard Marles, described France as a long-term stable democratic partner in the Pacific and re-affirmed Australian opposition to re-inscription. “We absolutely take our lead from France on this,” he said. WITH increasing regional support, the formal bid for re-inscription was relaunched in early 2013, with extensive lobbying in New York by Oscar Temaru and France’s senator for French Polynesia, Richard Ariihau Tuheiava. In February, the UN ambassadors for Solomon Islands, Tuvalu and Nauru formally lodged a draft resolution at the General Assembly. But in spite of pre-election pledges by President Hollande, French diplomats launched a sharp attack on the initiative. The assault was led by France’s UN Ambassador Gérard Araud, a graduate of the prestigious Ecole Nationale d’Administration who had represented France as a diplomat in Washington, NATO and Tel Aviv. Araud lobbied hard to have the resolution delayed in the hope that it would lapse after the May 2013 elections in Papeete. In the interests of compromise, the sponsoring states issued a revised version of the resolution on 1 March, but France sought for weeks to keep the resolution out of the General Assembly. Although colonial powers including the United States and Britain agreed to back France, other UN member states were astounded by the vigour with which France pressed its case. Denouncing the “violence and condescension” of Ambassador Araud’s interventions, Temaru wrote to the French president on 27 March, calling on him to bring the ambassador to heel. French Polynesia’s local elections on 5 May saw the defeat of President Temaru’s UPLD coalition, with voters angry over the government’s management of French Polynesia’s post-GFC fiscal crisis, declining tourism and growing unemployment. The return of Gaston Flosse, an ageing politician currently appealing a series of convictions for corruption and abuse of office, highlights the political stasis in Papeete, and the lack of vision for new post-nuclear economic options. IN THE aftermath of the UN resolution, Gaston Flosse is now seeking to pre-empt a debate about options and timetables for self-determination by calling for an immediate referendum on independence. Buoyed by his success in the Assembly elections, Flosse is hoping that a quick vote would overwhelm the UPLD, which must rally a population fearful that France would abandon them, politically and financially, after independence. For Temaru and the UPLD, any referendum must be based on UN practice and principles, and the thorny question of voting rights must be resolved. Flosse has argued that all French nationals resident in the territory have the right to vote in a self-determination referendum. Temaru, echoing the process established by the Noumea Accord in New Caledonia, has argued for a restricted electorate limited to indigenous Maohi and long-term residents. Any vote should be preceded, he says, by a lengthy transition, with information in local languages about all options and a timetable for the transfer of authority. In spite of French anger over the UN resolution, the decolonisation agenda has some way to go. New Caledonia has been on the UN list since 1986 and increased UN scrutiny does little to change the reality on the ground. (Under the Noumea Accord, after elections in 2014 New Caledonia will move towards a decision on its political status, with a possible referendum before 2019.) With limited staff and finances, the UN Special Committee on Decolonisation lacks the capacity to fully support the remaining territories. Even so, self-determination will remain on the region’s agenda over the coming decade. The Melanesian Spearhead Group meets in June in New Caledonia, with FLNKS leader Victor Tutugoro taking over as chair of the sub-regional body at a crucial time. The UN resolution has buoyed the Kanak independence movement, with the FLNKS Political Bureau warmly welcoming the decision. As Maohi nationalists celebrate their victory, the future of France in the South Pacific is yet to be decided. Nic Maclellan is a correspondent for Islands Business magazine and co-author of La France dans le Pacifique (Editions la Découverte) and After Moruroa: France in the South Pacific (Ocean Press). Monday 20th May 2013 started off the beginning of Norfolk Islands 20th Country Music Festival Celebrations, and what a week it has been! Artists from around New Zealand and Australia arrived to entertain hundreds of country music fans in what I would call, one of the best festivals I have ever been to. The kiwi’s kicked things off in the New Zealand Showcase on Monday night, held inside the amazingly decorated marquee. Chief Minister Lisle Snell gave a warm and welcoming speech at the beginning of the showcase, officially opening the Country Music Festival for 2013. Brendan Dugan was the compere for the evening, gracing us with his deep and glorious voice in a few numbers before the showcase performers made their way to the stage. It was a wonderful honour for me (Hayley Smith) to be able to follow Brendan in a couple of songs as the 2012 Trans-Tasman Entertainer of the year winner. A fantastic moment for me. The main acts for this show was the talented Marian Burns, Kevin Greaves and headliner Dennis Marsh. Marion had everyone’s toes tapping as she performed with her fiddle and made the entire audience jealous of her skills. Hearing about where country music has taken her since her last visit to Norfolk in 1993 was truly inspiring. Kevin Greaves’ amusing jokes was almost as entertaining as his incredible voice. A man who has had many years of country music experience, certainly achieved his task of ensuring the crowd had an enjoyable night at the New Zealand Showcase. After a quick interval, the crowd was keen and eager to hear the headliner for the evening, Mr Dennis Marsh. I believe his most memorable song would have been his performance of ‘How great thou art’. A song that was very popular with the audience. A fantastic evening was had by all, and the kiwi’s did us fellow kiwi’s very proud indeed. The backing band ‘The Huckelberries’ were superb as usual. These marvellous musicians were Mike McCarthy (keyboard and band leader), Bruce King (drums), Chet O’Connell (guitars), Rob Large (bass) and Patrick Long (steel player). They were accompanied by the beautiful backing vocalists ‘Echo ‘n Harmony (Sharon McIntyre and Rosemarie Hack). Tuesday night it was time for the Australians to showcase their talent, and wow did they certainly do just that! The entertainers for this evening was Amber Joy Poulton, Paul Costa and the headliners were the one and only Beccy Cole and Adam Harvey, with special appearance by Libby O’Donovan. The compere for the Australian Showcase was Rodney Vincent, and he did a fabulous job. His energy on stage was just amazing and he could really get the crowd going. Amber kicked off the show with a great selection of songs and she looked beautiful up on stage. A very lovely lady and a fabulous entertainer. Paul Costa followed and he was fantastic. A man with an amazing voice and wonderful stage presence. Regardless of these two remarkable entertainers, the headliners were the ones to steal the show. Beccy Cole and Adam Harvey took Norfolk Island Country Music week to a whole new level. Absolutely breathtaking/exceptional/hilarious/gorgeous and simply incredible are a few words I can think of to describe the awesome two-some. Performing both together and individually, they kept the audience well entertained for the second half of the Australian Showcase. Beccy and Adam are definitely Australian Icons and do insanely well representing their country and the Country Music scene. My favourite moment of the evening was watching Beccy Cole performing a song and playing every instrument on stage. Starting with playing the lead guitar and playing it like a pro, to playing the bass guitar with the microphone sitting her cleavage, to rocking it out on the drums. This woman screams talent with a capital T.
A lovely surprise of the evening was having Beccy’s backing vocalist Libby O’Donovan perform an exceptional version of ‘Que Sera Sera’ and boy did she blow the audience away! Such an incredibly powerful voice from one tiny beautiful woman. The backing band for the Australian Showcase ‘4 Play’ were thoroughly enjoyable to listen to and watch. I enjoyed watching the Bass player in particular dancing across the stage. Always great to see a band enjoying themselves. Duncan Toombs (guitar), Rod Motbey (guitar), Sean Rudd (bass) and Norfolk Island Local Aaron Pye on Drums all did a tremendous job. A fabulous start to the Country Music Festival. A plane crash off Norfolk Island was blamed on the pilot but a new report suggests authorities should shoulder some of the blame. LEIGH SALES, PRESENTER: When a medical evacuation flight ran out of fuel and ditched in the ocean off Norfolk Island one night in 2009, six people were extraordinarily lucky to survive. Air safety investigators blamed the pilot. But a Senate committee report released today has reached a very different view. It's been scathing about the role of the regulators, saying the Civil Aviation Safety Authority was partly to blame and covered up its own failings. The committee says it's report is going to the Australian Federal Police. ADAM HARVEY, REPORTER: A routine medical flight that ended in near disaster. This twin-engine jet, operated by Pel-Air, was bringing a patient from Samoa to Melbourne via Norfolk Island. It never made it. After several aborted landings due to bad weather, pilot Dominic James made the toughest decision of his career. On the darkest of nights, he dropped the aircraft right into the rough South Pacific. All onboard survived, thanks to the pilot's skill, the bravery of the local Norfolk Islanders who plucked the survivors from the sea and a very large dose of luck. But the long-term consequences of that night have been devastating. CareFlight nurse Karen Carey's nerves were torn away from her spine. KAREN CAREY: I feel extremely lucky that I'm here with my family and my children, but there are days where the pain is so excruciating that I would sometimes close my eyes and wish that I would have just passed. ADAM HARVEY: Pilot Dominic James' reputation was trashed. DOMINIC JAMES, PILOT: I've had to sell the place that I lived in. It's cost me hundreds of thousands of dollars to defend my name and my reputation. It's been a huge cost to those around me, both professionally and my family. ADAM HARVEY: In a report three years in the making and released last August, air safety investigators blamed the pilot. The Australian Transport Safety Bureau said Dominic James did not load enough fuel in case of bad weather and he should have diverted to the nearest runway in Fiji before it was too late. DOMINIC JAMES: It was a popular perception that I was reckless, careless, negligent and I was none of those things. I did some things on that night that I wish I had done better, but by no means was it warranted to rest the cause of the accident solely upon me. ADAM HARVEY: Today in Canberra, a Senate committee handed down its own report and pointed its finger at Australia's air safety authorities. NICK XENOPHON, INDEPENDENT SENATOR: Our agencies are not up to scratch. This goes beyond one incident - let me emphasise this: this goes beyond Dominic James, who I regard and many others regard now after this report as a scapegoat for the failings of CASA and the ATSB. DAVID FAWCETT, CHAIR, TRANSPORT COMMITTEE: The ATSB report glossed over all of the systemic factors which clearly played a role in the lead-up to the accident. ADAM HARVEY: Pel-Air had problems and the Civil Aviation Safety Authority knew it. DAVID FAWCETT: The company itself, their own training, their fuel policies, their supervision of the pilots, the support they provided - all of those came out very clearly in the special audit that CASA conducted after the accident. The ATSB report essentially said the company was doing the right thing, CASA was doing the oversight and there was no evidence of fatigue. ADAM HARVEY: The report says CASA and the ATSB worked together to make each other look good. The committee says CASA withheld crucial documents critical of Pel-Air. That's potentially a criminal offence. DAVID FAWCETT: It could even be seen to have breached the Transport Safety Act in terms of obstructing an investigation. NICK XENOPHON: The fact that the committee felt that this should go to the AFP for further consideration I think speaks volumes. ADAM HARVEY: Former CASA deputy director Mick Quinn pushed for the Senate inquiry and has been supporting pilot Dominic James. He says CASA and the ATSB have gone from being rivals to conspirators. MICK QUINN, FORMER DEPUTY DIRECTOR, CASA: So the pendulum's swung from one bad aspect where the two organisations were at each other's throat to now where it appears, according to the Senate report, that they seem to be in bed together and we need to be back at the centre. These two organisations need to be at arm's length. ADAM HARVEY: Nick Xenophon says the safety authorities can't be trusted to act in the public's best interest. NICK XENOPHON: This inquiry has shaken my confidence in the ATSB and CASA to the core. I no longer have confidence in them. That's why I think we need to inspector-general of aviation so that we actually have an independent body that can oversee what they do and how they do it. ADAM HARVEY: Dominic James is back in the air and is slowly rebuilding his career. But any regulatory changes aren't much comfort for Karen Casey. KAREN CASEY: There's the operator, there's the investigative system and then there's regulators and I feel that all three failed me. ... If the correct systems were in place for safety and the correct monitoring and auditing were in place, I believe that this would not have happened. LEIGH SALES: Adam Harvey reporting. When you come to Norfolk Island for a holiday, you want to kick back and relax. Of course, it is good to explore, take some walks, find out about the convict history and the Pitcairn heritage and perhaps have a game of golf or tennis, but a holiday is a holiday, and nothing beats just lying in the shade of a mighty Norfolk pine and settling into a good book or magazine. So where can you get some good reading matter on an island where the two local papers are weeklies and the dailies from Australia only come in twice a week? For a start, there is the Trading Post in the Foodlands Mall. The papers are available at the at the Trading Post and they also stock a range of magazines. The Trading Post also sells a range of paperbacks, which you will find at the rear of the store past the long rows of magazines on nearly every possible interest area. There are also have a range of books about Norfolk Island, many which were written by local authors. These are really excellent souvenirs of the island and make great reading too. Other places to find books about Norfolk are the quaint and historic Royal Engineers Office Cafe and Bookshop at Kingston and the Golden Orb Cafe and Bookstore between Duncan’s Jewellers and the Butchers in Taylors Road. These books include poetry by Archie Bigg, star of Pinetree Tours’ Wonderland by Night; fishing books by Ian Kenny; ghost stories from Maeve Hitch; the story of Pitcairn tapa cloth by Pauline Reynolds; the birds of Norfolk Island by Margaret Christian and books about the convict history and Pitcairn heritage by a range of authors including Nan Smith. Another fascinating title is “Coconuts to Computers” by Alice Buffett which traces the social history of Norfolk Island, and a real treasure is her encyclopaedia of the Norfolk language. The Golden Orb has a great range of fiction and non-fiction books as well; and you will love the cosy ambience of this cafe and tea-house. Take your time to browse and enjoy a great cup of tea or coffee as you thumb through your purchase on the shady deck, or at one of the pine tables inside. Another place to find good local books is Aatuti Art Gallery and boutique in the Village and the Visitors Information Centre in Taylors Road. You will also find the local monthly magazine 2899 at most of the stores mentioned and each of the tour companies. The photographs are magnificent and will supplement your own record of your visit. At Gallery Guava, you can buy a book about the Cyclorama which contains reproductions of each scene and each story board - an excellent way of taking away more than your memories of this spectacular record of the island’s romantic past. If you are interested in cooking, then pick up a copy of the Norfolk Island cookbook or the recipe book that the Rotary club has collated. They are available from most of the stores that carry local books. And if you are after a bargain, then Cynthia’s second-hand book stall at the markets on Sunday is a must! It’s great fun trawling through the titles and it certainly won’t break the bank to buy one! While it’s great relaxation to read, it’s also a stress-free, and even entertaining experience to find just the right thing to take to that shady spot – so enjoy it all! One of the conditions on the NIG in the funding agreements with the Commonwealth was to open up telecommunications infrastructure in NI. They did so in April 2013 by providing wholesale access to the island’s telecommunications infrastructure. While welcome, concerns remain that the agreement still does not create a level playing in telecommunications competition in NI. Norfolk Online will be taking the issue up with the appropriate Minister, and we will share our findings with you soon. This agreement is a positive step forward, and could form the basis for new industry in NI. But it is not sufficient if ICT is to deliver the economic and social benefits to this community that it deserves, and that are already being enjoyed (in part at least) by our major trading partners. Some businesses in NI already place great reliance on the Internet to reach customers. More will do so over time – indeed it is a necessity they do. While we are fortunate to have the Internet service we have, it is not good enough to support all businesses now, and certainly not good enough to support emerging business and home needs. While we are fortunate to have the technical skills we have, there is insufficient depth in skills for the business application of new technologies. Interestingly, Australia is also weak in building its capability in ICT beyond infrastructure like the NBN, according to the Australian Information Industry Association (AIIA) in the Sydney Morning Herald recently. They suggested government had to take action to build capability, and applied to NI, some of the actions they believe are required are as follows. First, the NIG must lead by example and use ICT to drive government efficiency. Second, most businesses in NI do not have an adequate online presence. The NIG might look at subsidising the introduction of new, digital technology, and developing skills to use technology effectively, within businesses in NI. Third, education in NI must grow investment in ICT skills development at school and for adults, and immigration must have ICT skilled immigrants and businesses as a focus. The move by the NIG to provide access to public infrastructure is a necessary step. But it is not sufficient and a program to build our capability to leverage ICT for competitive advantage is essential. NATIONAL PARK MANAGEMENT – HAVE YOUR SAY! The next meeting of the Norfolk Island National Park Advisory Committee, or NINPAC, will be held on Wednesday 29 May. If anyone has comments on park management - whether it be things you like or things you think could be improved - please pass them on to either the Park Manager, Coral Rowston, or any of the advisory committee members John Anderson, Nicole Diatloff, Sorrel Wilby, Jason Evans or Peter Davidson. “Our park budget for the next financial year is going to be very tight, so one of the main items for discussion at the meeting will be about identifying the most important aspects of park management that need to continue and which areas that we might be able to cut back on. “It would be very useful to hear the views of the community on the focus of park management over the next year,” said Park Manager, Coral Rowston. We are also looking for two new members to join the Norfolk Island National Park Advisory Committee. The committee is an important way for the local community to have a say in the management of the national park and botanic garden. provide a forum for members of the community to raise issues relevant to the management of the park and garden. Formal meetings are held twice a year, with additional phone and electronic communication between meetings as required. “I encourage any members of the community with an interest in park management and being an active participant in the advisory committee to call the park office for a nomination form,” said Coral.